Three of the five men who were killed Tuesday morning by police during an exchange of gunfire. 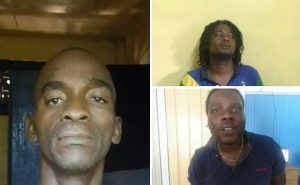 Police Commissioner, David Ramnarine Tuesday morning confirmed the identities of the five men who were shot dead at Turkeyen where they had gone to steal a metal safe from a house. Those killed are Timothy St. Hill, Levi Braithwaite, Andrew Daly, Ian Forde and Jermaine Doobay. He said the 38-year old man, who had several addresses, was charged in 2015 with possession firearm and ammunition without licence; 2016 possession of narcotics; 2017 attempted robbery, and break and enter and larceny and the setting fire to the Grove-Diamond Police station in 2018. Braithwaite, 31, of North Ruimveldt was arrested in 2017 for robbery under arms. Andrew Daly, 40, of Westminster Housing Scheme, West Bank Demerara was charged with break and enter and larceny in 2017. No criminal records, if any , were provided for Forde and Doobay. “They did not back off , they did not retreat in the name of law and order in ensuring that public safety is assured,” Ramnarine said. The Police Commissioner said a caretaker, wife, two children and one grandchild were inside the house owned by someone in Florida, United States when they heard loud breaking sounds from the premises downstairs at about 3 AM. They summoned the police by calling 911. Crediting the police patrols that responded for their “bravery”, he said the policemen two men were seen in the yard with rifles. “The police challenged them. The men opened fire on the police who returned fire. Both men fell. A third man, who was in the premises, ran out from it and was caught in the exchange of gunfire and he collapsed on the ground. Seconds after, a white motorcar drove up. Two males exited and opened fire on the police. Police took cover and returned fire. Both males fell. 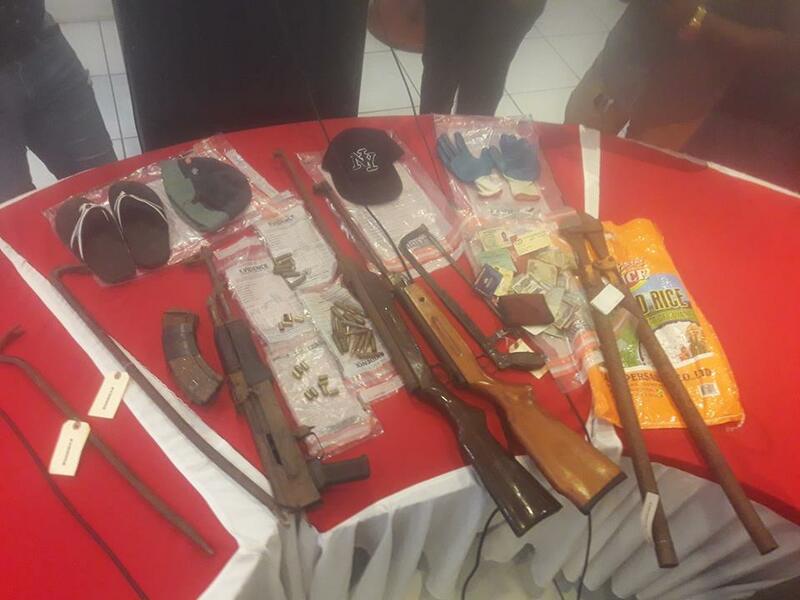 Close to the motorcar, it was later found an AK-47 rifle with two magazines which were taped together, a number of live rounds and the two rifles were found next to the two who had earlier collapsed in the yard,” the Police Commissioner said.